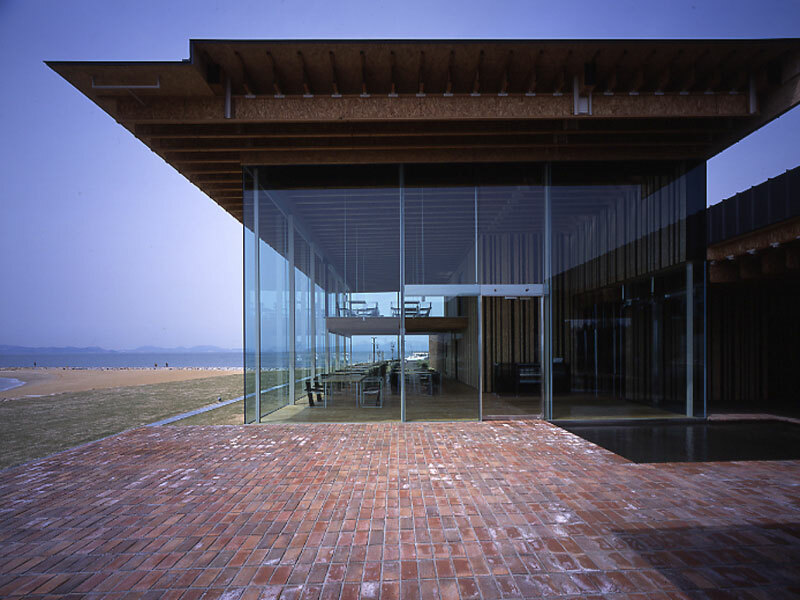 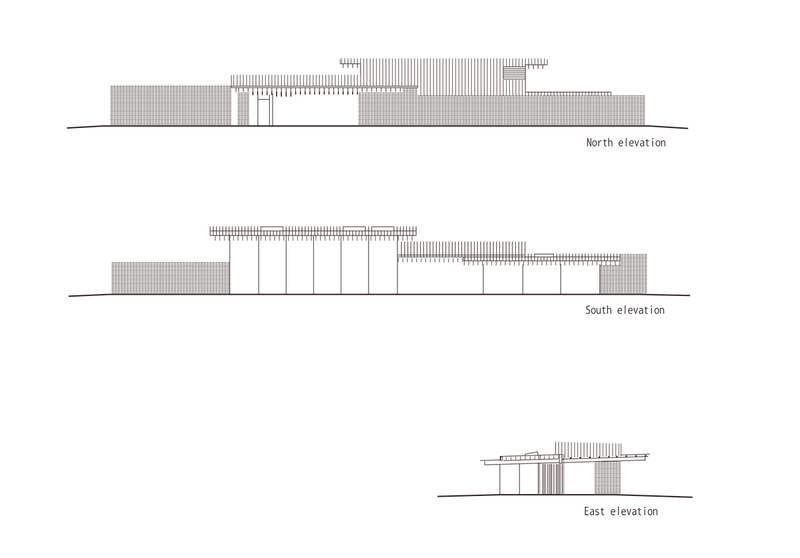 This structure consists of a Spanish restaurant facing the sandy shores of the Seto Inland Sea. 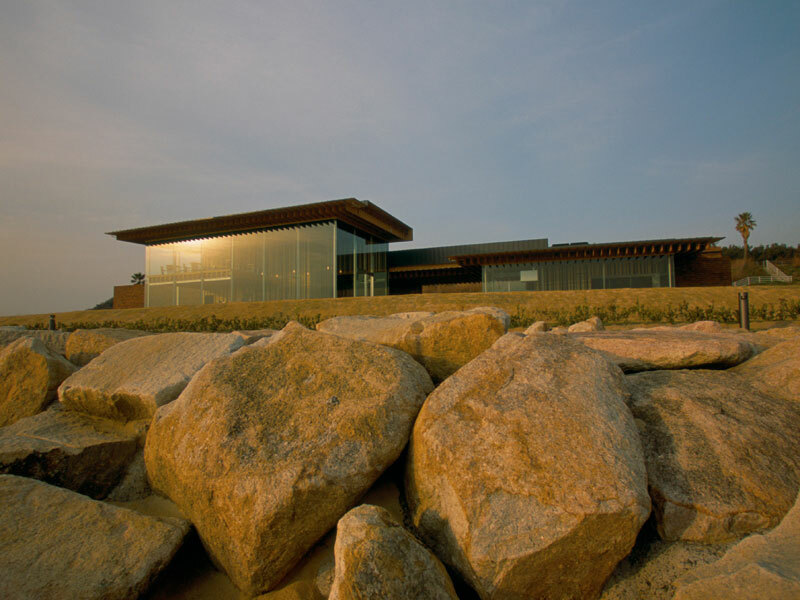 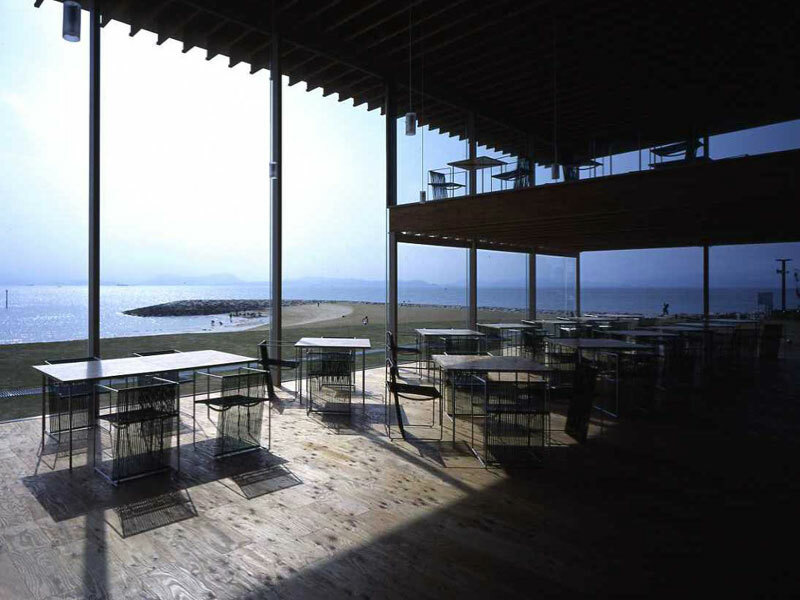 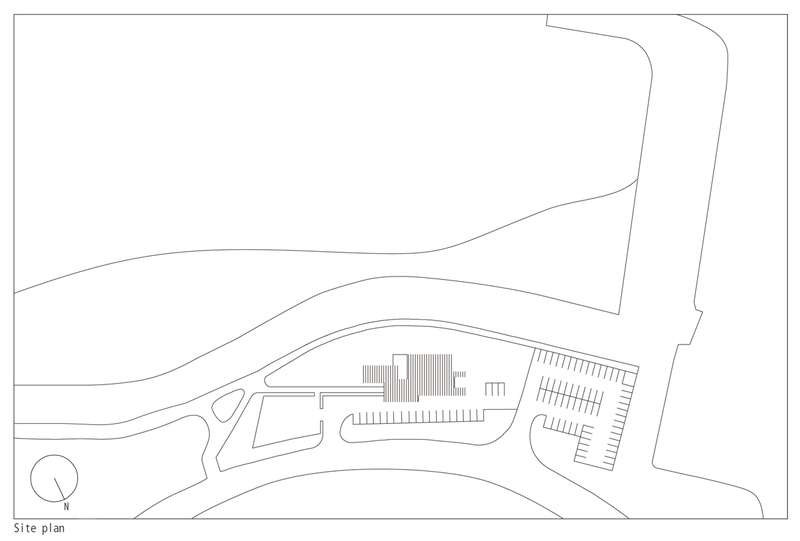 It is separated into one building for the restaurant and another for the wall, with the passageway between them connecting the land to the sea. 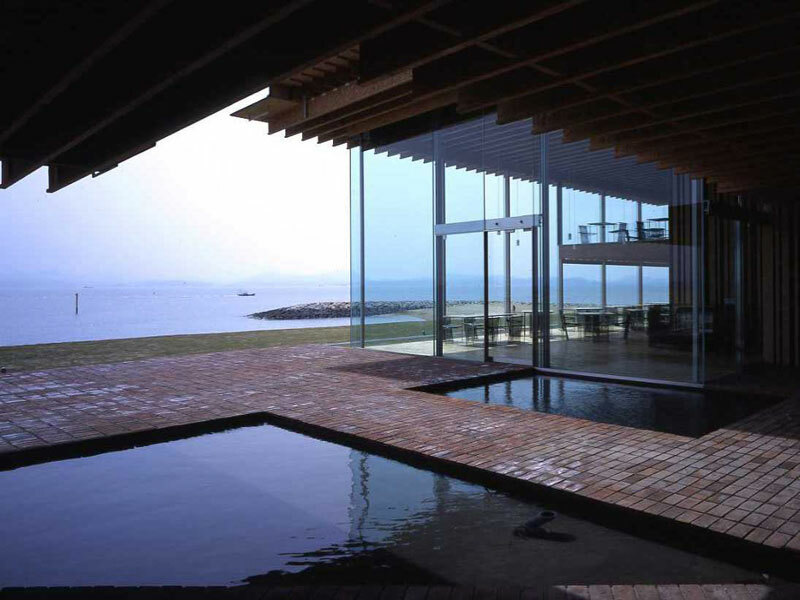 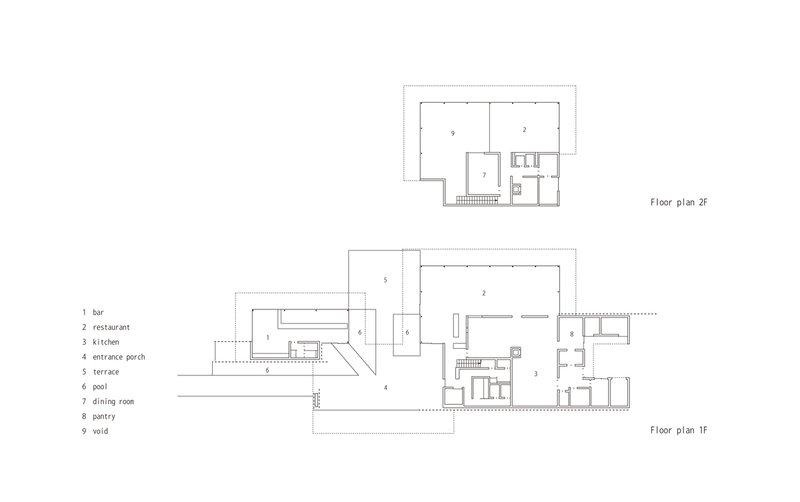 Bricks with multiple holes were used for the external wall in order to adopt special details where the field of view going through the holes in the bricks overlaps, making it a “transparent brick wall” that combines both transparency and the warmth of the material.